It is almost Easter and time for Hot Cross Buns, however . . .as much as I love hot cross buns, they dont like me and make me feel quite unwell. Over the years I have come the conclusion that it is yeast that makes feel unwell so I make myself Yeast Free Hot Cross Buns. My recipe is based on a tea loaf, but still has the spices associated with normal hot cross buns. So here you are my recipe for yeast free hot cross buns – you can also use it to make a hot cross loaf, tastes fantastic lightly toasted with melted butter and a cup of tea! 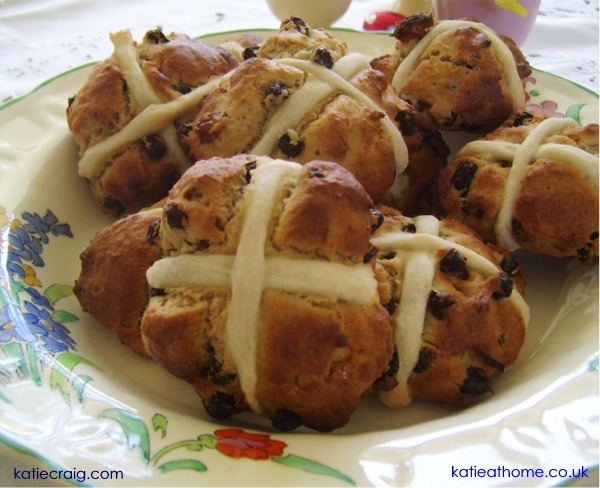 And there you are my recipe for yeast free hot cross buns, enjoy.